DFBF held the conference ‘Teaching British Values? 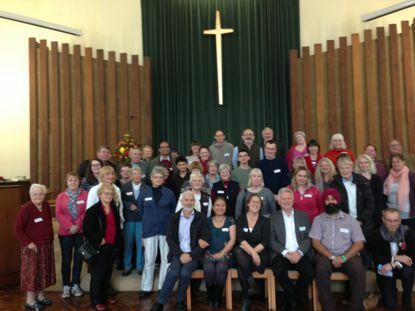 Faith and Belief Perspectives’ on Saturday 14 November 2015 at The Mint Methodist Church Centre, Exeter, just before the start of Inter Faith Week 2015. More than 60 people with an interest in Education, including many school governors from across Devon, met for a morning on British Values. With the duty placed on schools to ‘promote British Values’ this proved an engaging and lively morning. The day began with everyone observing silence for the victims of the previous night’s Paris attacks, an event which gave an added contextual resonance to what followed. Jeremy Roberts then chaired an open presentation and debate led by Jonathan Marshall and John Hall which all too quickly had to come to a close as participants then entered workshops. The Governor’s grouped of around 20 people took the form of a ‘Workshop to Raise Awareness of Prevent’ (WRAP) training session led by Jonathan Marshall. The Devon Inter-Faith Forum for Youth (DIFFY) with Bev Smerdon held a workshop led by young people; and, Ian Jamieson led a third workshop on ‘How to explore British Values from a faiths perspective.’ Ed Pawson ran a fourth workshop with a faith representatives panel which had contributions from a range of different faith voices. 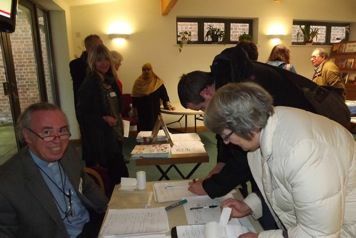 The conference provided a valuable opportunity to grasp with a challenging contemporary education issue, and various display tables and resource materials were made available to add yet further value to the day. A vote of thanks was given to DFBF and especially its Chair Jude Taylorson and her working group for organising the conference. Given the support and enthusiasm shown for the day, the DFBF are now actively considering what now needs to be done to follow up this most successful day.